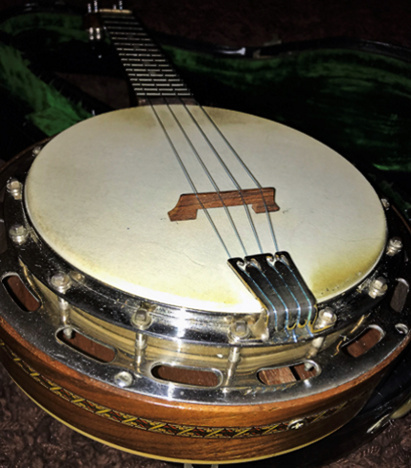 1920s Ludwig 'Wendell Hall Professional' model banjo-uke, expertly refurbished with a lovely finish. Sounds great, with a nice, comfortable playing action. A thing of beauty and a joy to play. Comes with a vintage Gibson case, in repaired, good working order.